Internet of Things (IoT) has revamped the transportation model. IoT finds smarter, better, safer, and more efficient ways to let things move. Besides transporting, tracking and monitoring are the bigger aspects of the connected world where dispatching and delivering can be done in a feasible lesser time. It increases safety and sustainability while streamlining processes and enabling connectivity. It has been predicted that, in 2018, the followings ideologies of IoT will enhance the proficiency of the sector, thereby keeping vehicles moving. The next generation technology revolves around data that have been collected during the various stages of business processes. Such data help organisations to make informed decisions and take it to the next level. People have understood the importance of data and its fit for business development. When it comes to transportation sector, it has a greater purpose, and there one can witness a huge flow of data from the connected vehicles. The heap of data collected from vehicle sensors helps the industry to predict, analyse, know, and avoid potential faults and failures in your vehicles even before they occur. Major decisions can also be taken with the predefined analytics that shows the possibilities and probabilities. The advent of taxi management software has deformed the taxi business and changed the way it was doing business before. 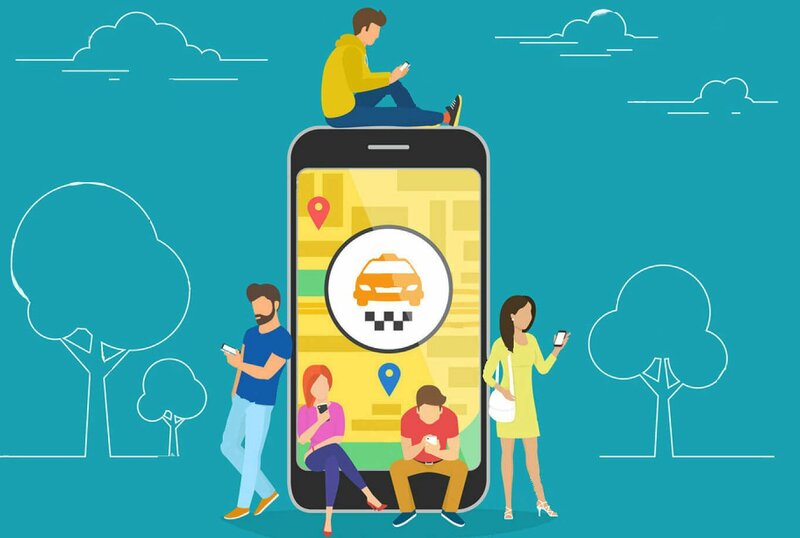 Mobility solutions have made things easier for the transportation sector which is going to face a tremendous breakthrough that will hit the industry in the guise of TaaS (Transportation as a Service). TaaS is one of the revolutionary insertions in the sector and would bring in much more potential for the automotive industry. In the near future, we do not have to own a car as an asset instead we have to hire it as service. Prevalence of connected intelligence, ridesharing, and TaaS has transformed the industry in several ways. Such trending technological innovations have made it easier to book cabs, dispatch taxis, and deliver goods, fastened the travels, and so on. The next controversial but essential trend in the sector would be Artificial Intelligence (AI) and machine learning. Many countries have already completed the trial run of automated vehicles. To enable and enhance the usability of AI and meet safety needs, it requires a thorough study on the field to make it suitable for every road. The automated or autonomous vehicle will make a huge impact not only on the industry but also on human lives as it is predicted that while simplifying the transportation, it will eliminate human errors and help achieving efficiency. IoT has played a greater role in connecting things to the web world. As transportation is on the verge of change, it streamlines processes for a frictionless travel. IoT-enabled connected vehicles provide solutions for many problems that prevail in the industry. While bringing innovations and insights into the industry, IoT has transformed the way it was working before.